In the world of article marketing, you can generally take two different stances on your content. One is the guest post, and one is the press release. They have different purposes, different formats, and can be sent to different sites, so let’s learn about how they function. First, let’s talk about the press release. A press release is generally a very formal piece of writing, sort of like a business letter. It lacks the conversational tone or the informal topic of a guest post or blog post. Press releases are written to educate a group of people on a specific matter, generally one that is newsworthy in some fashion. This can range anywhere from a new product launch or new product announcement to an informational packet on the local effects of climate change. Even if it doesn’t seem newsworthy to you at the moment, it might be newsworthy to your community or to the community you’re trying to reach through press release submission. Press releases are prewritten. That means you don’t pitch a press release for a blog, you just send them the release. It’s up to the site what they want to do with it. They might publish it wholesale, they might do their own research and write about the topic using your information, or they might simply ignore it. This is actually one of the larger drawbacks to press releases. The intention is for some or all of the press release to be copied wholesale and used in distribution. A site might just publish the press release, but some other businesses – like publishers, academic institutions, and other “old” companies – might use a paragraph or two of it in a journal, or copy portions of it for a blurb review of your product or company, or something else. This will depend on the industry and the purpose of the press release, of course. Since press releases are designed to be copied across different sites, they form a bit of a tricky issue with regards to SEO. The same content published on too many different sites can end up triggering potential link or content penalties, which makes a lot of mid-range sites skeptical about publishing them directly. If all you want is awareness and coverage, this is still fine, but if you want the exact wording and a link, you might be out of luck. I say bid-range sites here because small sites tend to publish whatever they want and don’t necessarily care about the SEO repercussions, and very large sites are resilient enough that a few content penalties won’t hurt them tangibly. Press releases are a very old form of journalism, essentially, and have existed for a very long time. The format has barely changed, though the means of distribution and publication very much have. A press release needs to cover seven main points. Who – As in, who are you to be making this press release? What – As in, what are you making this press release about? When – As in, when is the information in the press release relevant? Where – As in, where geographically is the press release relevant? Why – As in, why is the information you’re writing a press release about important? How – As in, how can the reader make use of the information you’re presenting? Who Cares – As in, who is this press release for, at the end of the day? You don’t need to go through each of these on an itemized basis in your press release, but you should note down answers to each of those questions before you create the press release itself. Having the information on hand allows you to craft the press release and make sure you have all of the bases covered. If you can’t answer all of them, maybe the information you’re trying to convey isn’t meant for a press release. Your press release does need to start with a good title, which means all the same things it does for blog post titles. In reality, a press release title is simply a more formal, less clickbaity blog heading. It needs to draw interest but it can’t be typical link bait, because you’re aiming for a more professional atmosphere. Beneath the title, your press release should have a 1-2 sentence subhead that provides more information about the topic, a sort of short summary or thesis more than anything. 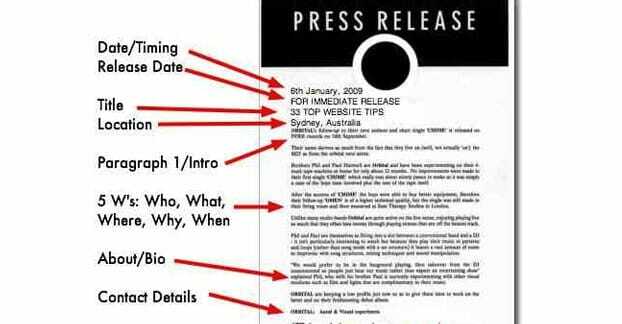 For the actual body of the press release, you will want a date line and possibly a note about delayed release, if you want to delay the release of the information in your press release. Often, the press release is “for immediate release” and thus doesn’t need explicit notification thereof. 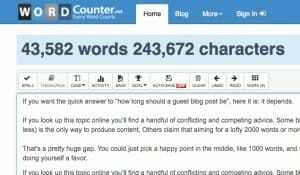 The rest of the body will take as much space as you need, but should rarely extend beyond 1,000 words. Press releases are short bursts of information. If you find yourself trying to provide too much more information, you should prune it back and leave excess details on your site or a landing page. The release itself should have links, but be aware that some sites will want to remove or nofollow them for SEO safety. This is also why you should avoid sending out too many press releases too often; it’s not a valid link building strategy and can get your site in trouble if you misuse it. Also, your press release body should include quotes about your topic from someone influential; a CEO, partner, or noted community member should work. The conclusion of your press release is a boilerplate. This is a fixed paragraph that is essentially just a short bio of your company. For older companies, this tends to have a rundown of their history and motivations. For new companies, it’s usually a brief informational blurb about who you are. For a list of examples of good press releases, including some analysis of what makes them good, check out this list. I mentioned above that you write your press release first, and then you distribute it. 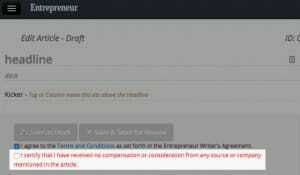 This is in contrast to a guest post, where you pitch a topic to a site and you write it only once it has been accepted. The other major difference between a guest post and a press release is that the press release is sent out to a wide variety of different sites, whereas a guest post pitch may be sent out to that same list, but the individual guest post is not. 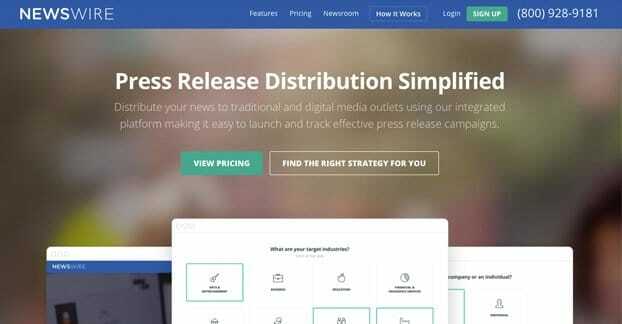 When you send out a press release, the expectation is that you’re sending it to a large number of sites, many of whom might publish it wholesale. This means sites that are overly concerned with duplicate content won’t want to publish it. In SEO and marketing niches in particular, most every site isn’t going to want to publish it for fears of everyone else picking it up. How widely your press release is directly published is a result of two factors, one of which is your niche. For example, Gigazine, which is a Chinese pile of submitted links. The problem with PR distribution networks is that a lot of times the sites that publish your press release have little or no actual traffic. They’re essentially just private blog networks used for publishing real content. No one cares about those sites, no one visits them, so your press isn’t actually getting you anything. You can slap the logo in a block image, but that’s about it. For the successful distribution of press releases, the first thing you need to do is build a list of possible sites for submission. The process for this is more or less identical to the one I’ve outlined here. The goal is basically the same, you just have to add one more step to the process. That step is to look at the submission and contact fields for the sites you find and see if they have a specific method of sending them press releases. If the site wants all press releases funneled to a specific email address, for example, it’s probably a good idea to do as they say. A press release sent to the wrong method of contact is likely to be ignored. I haven’t covered guest posts as much here, and you can probably guess why just looking a the URL of this site. I’ve covered guest posts all over the rest of the site, so I’m going to focus here primarily on the differences. A guest post is meant to be more of an individual, customized blog post for a site and an audience that isn’t yours. It’s the difference between getting a mass mailer from the grocery store with monthly coupons and getting a handwritten letter from your mother in the mailbox. The process of creating a guest post begins with the pitch, where you approach a site and say “hey I’m an expert in X, I want to write about Y, would you be willing to publish an article specifically about Z?” You go back and forth with the editor to figure out a specific topic and approach, and you write your post only once the decision has been made. 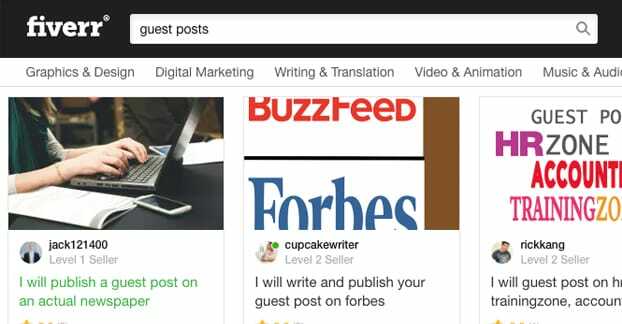 Guest posts are single processes for a single post, in an ongoing two-way dialogue with the site you’re posting on. Press releases, on the other hand, are one-way broadcasts of information. You can be open to return conversation, but it’s not expected. If someone wants more information, they can reach out to you, but most people and most sites will not. So which should you use, press releases or guest posts? The answer, as you probably expect if you’ve followed my content at all, is both. 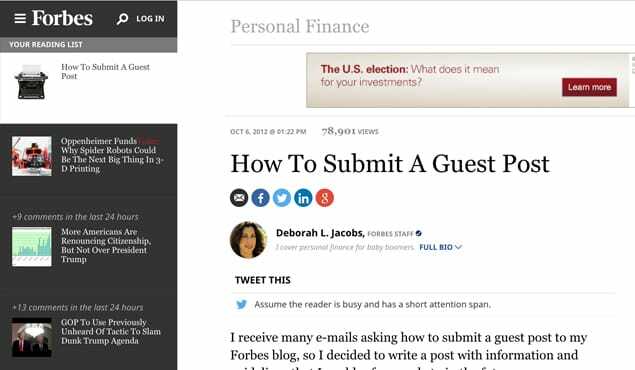 Guest posts should be your primary means of link building outside of your usual network of sites. It’s how you get your name and face out there. 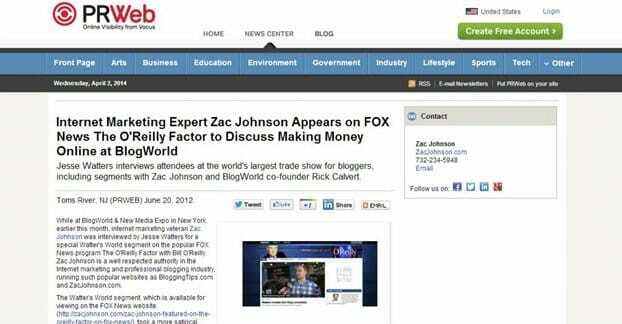 It’s how you gain a reputation for being an expert on your topic. It’s also how you build relationships with specific sites. Press releases, I find, have been declining in popularity and utility in recent years. Panda and other Google algorithms have made them less valuable in a pure SEO sense, so they’re mostly just good for awareness and hype. If you want a lot of eyes to see one specific piece of information, like a new product launch, a press release is ideal. You aren’t going to be getting total saturation with a press release, and most of the links you get from them will be nofollowed. It’s rare to get a press release link that brings in any noticeable SEO value, in fact. However, they can bring in interviews, traffic to a landing page with more information, and they can spark social media discussion. 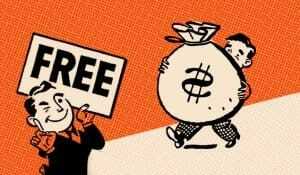 All of this is valuable, and you get a lot more of it through press releases than you do through individual guest posts. What about you? Have you had a good time using press releases in the past year or two? How do you approach it? Let me know in the comments.